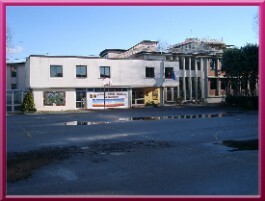 Paradise A Primary School belongs to “Istituto Comprensivo- Michelangelo Buonarroti” which includes pupils of Nursery, Primary and Low Secondary School. It is located on a seaside resource on the Tirrean Sea, Marina di Carrara, in the Massa Carrara district, in the north west of Tuscany. The Institution is located in a socio-economically disavantaged area, because of an industrial crisis which involves most of the economic activities of the area. The main local economic resourse , which has resented of the actual crisis so far, is the escavation and working of white marble from the quarries located in the Apuan Alps. The update economic crisis has also touched that sector. The school serves a large population of increasingly mixed social and economic backgrounds: there are pupils with learning difficulties and children of migrants from East Europe, Carribean countries. We believe that an international dimension will enhance the children’s motivation for learning and provide a genuine and meaningful focus for the development of skills. We would like to involve the pupils and the adults in a project that will broaden their concepts and their possibilities for the future. Thanks to the new means of communication it will be possible to create that certain sense of identity necessary for the growth of a realistic and varied European Community"